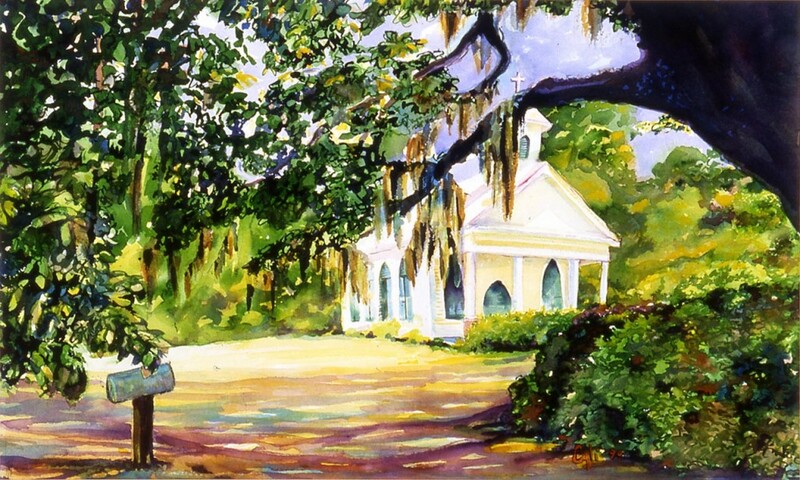 Grace Chapel, pretty as a picture, sits in the village of Rockville, among the oaks on Grace Chapel Road. Built by the people of Rockville in 1840 it’s original location was lost by cloud of title after the war between the states. Mr. Bailey donated the present site where it now resides. It is an active, consecrated “Chapel of Ease” of St. John’s Episcopal and holds services every Sunday during the Summer.